Television couple Shweta Kawatra and Manav Gohil welcomed their first child, a baby girl, on May 11. He also thanked everyone for the wishes. 'Hello all! I sincerely thank you all for the good wishes & blessings. Sorry if am unable to, at the moment, thanks you individually,' he added. Join us in congratulating the couple! Child actor Taruni Sachdev, who had worked with the Bachchans in the film Paa, was among the 13 Indians killed in the Nepal plane crash on Monday. 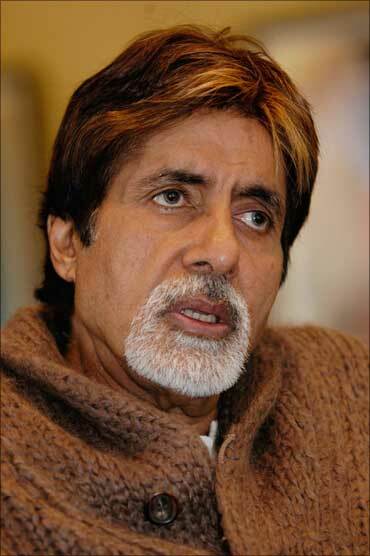 Amitabh Bachchan couldn't believe the news either. 'Just reading that Tarini Sachdev the girl child artist in Paa, has perished in Nepal plane crash .. please God may this not be true,' he wrote. Bipasha Basu shared the behind the scenes footage of her upcoming Hollywood film Singularity. 'Catch a glimpse of Behind the scenes of my film Singularity,' she tweeted. Directed by Roland Joffe, the movie co-stars Josh Hartnett, Neve Campbell, Claire van der Boom and Tehmina Sunny. Singularity will premiere at Cannes International Film Festival this month. Lara Dutta knows how to stay fit and in shape. The actress, who recently delivered a baby girl, released a DVD for pre-natal yoga that she practised during her pregnancy.